This is a quilt that I have been thinking of making for quite some time. Half square triangles can be challenging and boring sometimes but the outcome is always amazing, beautiful and versatile. 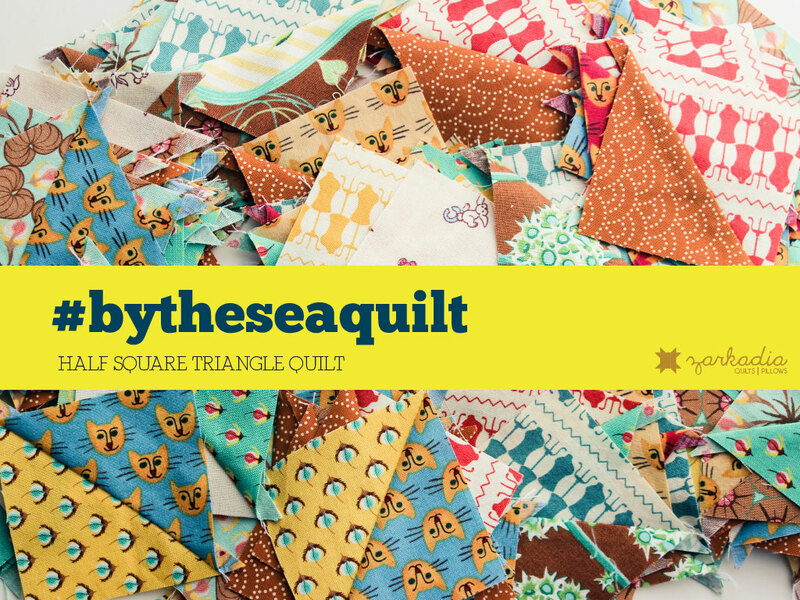 This is my latest quilt top that a friend named it #bytheseaquilt. I bought this beautiful yellow cotton from a local fabric shop and I instantly thought of these colors, warm summer days, sand, sea and heat. Yes, I know it is already September, but we can always dream of summer. The main block of the quilt is called Tree Everlasting and you can find a video tutorial on how to make it here on my channel. PS. I have not been working for the past year much since our baby needs a caretaker 24/7 and I can’t seem to be able to manage my time in order to get stuff done. The only thing slowly progressing is my Rotating quilt which is mainly applique and is easy to make with the baby in the same room…! You can find me more often on Instagram (@zarkadia), since it is super-damn-easy to socialize there, instead of blogging. Rotating quilt (former Orange peels quilt): piecing the top. Vintage embroidery quilt: embroidering the blocks. Videos made: None. Soon… You can still visit my channel for past block tutorials.